If you’re looking for a powerful compact short swing radius excavator, then look no further than the ECR50D from Volvo Construction Equipment. Powered by a premium Volvo engine and featuring state-of-the-art technology including Volvo’s unique ECO mode and load-sensing hydraulics, the ECR50D mini digger provides low fuel consumption, high digging power and fast cycle times. With its 5-ton weight, the machine expertly handles heavy loads with stability, balance and control. In combination with Volvo’s durable range of purpose-built attachments, the ECR50D mini excavator allows you to access more applications and effectively perform a variety of tasks – increasing your profitability. Excel at a range of jobs including site preparation, construction, utilities and landscaping with the ECR50D from Volvo Construction Equipment. State-of-the-art, load-sensing hydraulic system is perfectly matched to the premium Volvo engine and components – delivering high performance and superior fuel efficiency. The industry-leading, spacious Volvo ROPS cab provides all-around visibility, ergonomically positioned controls and excellent vibration and noise insulation. By simply pressing a button, Volvo’s unique ECO mode improves fuel efficiency by up to 10%. The keypad can be used to manage attachments through four pre-programmed, adjustable settings which can be customized to match attachment and individual needs. Volvo’s durable attachments have been purpose-built to deliver maximum productivity and long service life in combination with Volvo excavators. 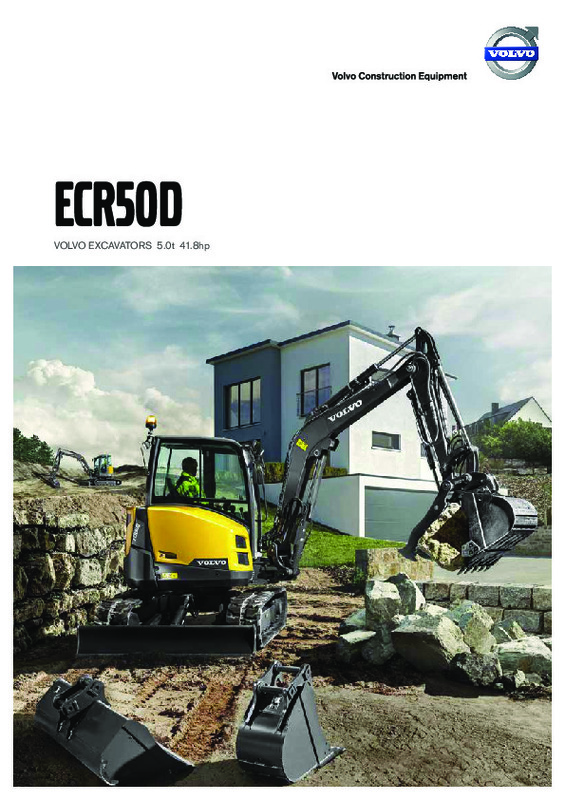 Download the ECR50D mini digger brochure, including specifications. 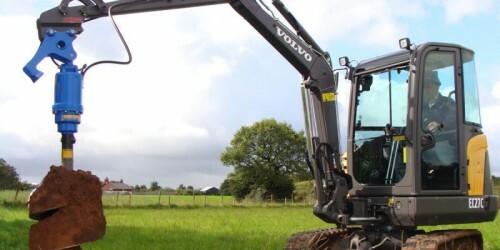 Do you need spare parts or accessories for Volvo ECR50D Compact Excavator?